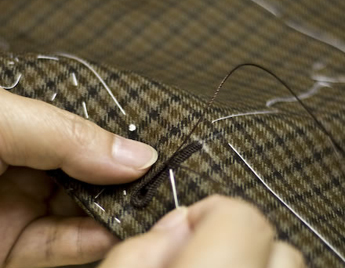 To give the suit its shape, interlining canvas, cotton, felt or horsehair are sewn into the material itself with countless small stitches. 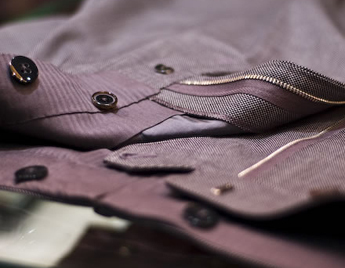 The process takes much less time in mass produced jackets, where the interfacings are glued into place, which results in a standardized, and flatter structure. 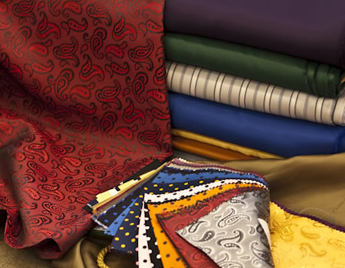 Lapels are all stitched by hand to attain the natural roll above the buttoning point, which can never be found on ordinary garments. 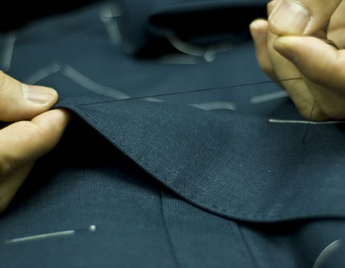 All suit buttonholes are done by hand with pure silk thread and all the sleeves buttonholes are functional. The lining is made of Bemberg Silk and hand-sewn around the armhole to ensure wearing comfort and a smooth fit. 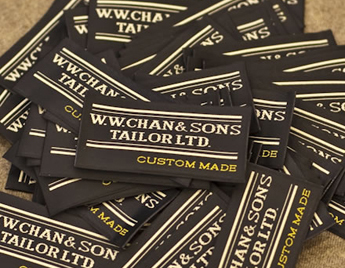 A W.W.Chan label is affixed in the jacket pocket of every creation in order to track details, paper patterns and history. Every piece is unique and our records are matched accordingly. 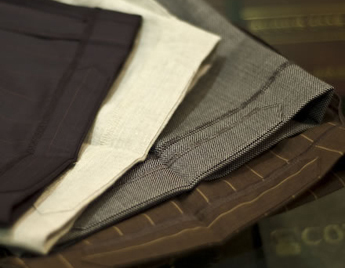 All trousers pockets are made of stout cotton pocketing and sewn with small stitches, as a safeguard against wear and tear. It is lined in acetate all the way down to the knee to provide the wearer with comfort and a feeling of ease. 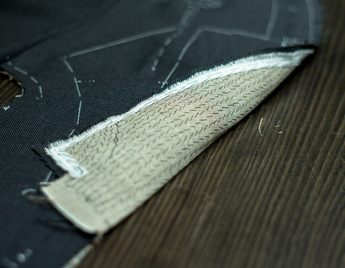 The hem of the trousers legs are lined with a strip of fabric at the back to prevent the hem from being worn by rubbing against the shoes while walking. 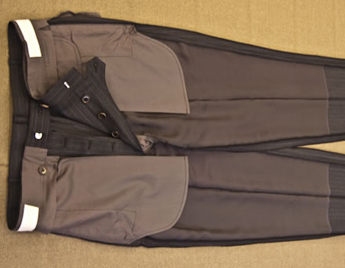 The three-way closing on trousers enhances wearing comfort with a smooth fit.